Microsoft is poking fun at Apple again, this time, taking on MacBook users. Three Microsoft commercials, which are meant to evoke Apple's famous Mac vs. PC spots from a decade ago, compare Microsoft's Surface Pro 3 tablet to the MacBook. In each of the ads, the MacBook owner is amazed at how the Surface is as powerful, fast and capable as the Mac, while having tablet-like features, including a touchscreen. This isn't the first time Microsoft (MSFT) tried to give Apple (AAPL) a taste of its own medicine. Earlier this year, Microsoft launched a similar commercial poking fun at Siri. The ad showed a person asking Microsoft's "personal assistant" app Cortana to do tasks like set location-based reminders. Siri quipped, "Now, that is a smart phone." 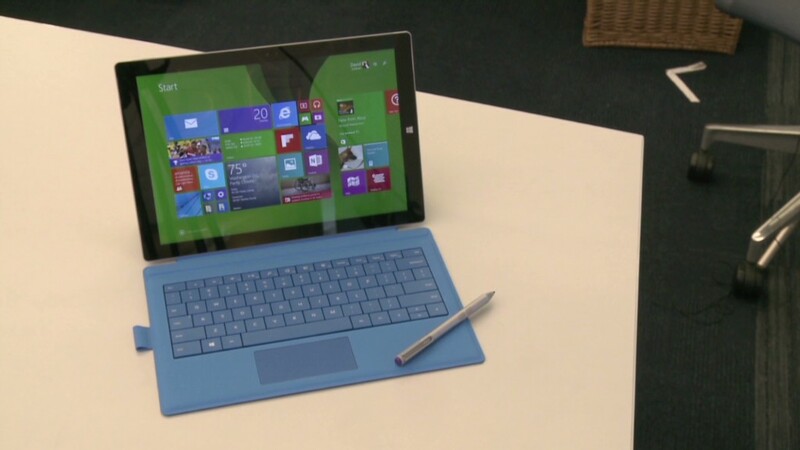 After Windows 8 launched in 2012, Microsoft showed side-by-side comparisons of the iPad and a Windows 8 tablet. After seeing all the things the Windows tablet could do that the iPad couldn't, an exasperated Siri wondered, "Should we just play Chopsticks?" When Windows 7 debuted in 2009, Microsoft ran commercials of people proudly saying, "I'm a PC." Still, even if Microsoft is winning the clever commercial battle, its products haven't made a dent in the MacBook, iPad and iPhone sales.